Everyone could use a little motivation when it comes to finding the energy to get out and exercise. And what motivation is better than beer and friends? 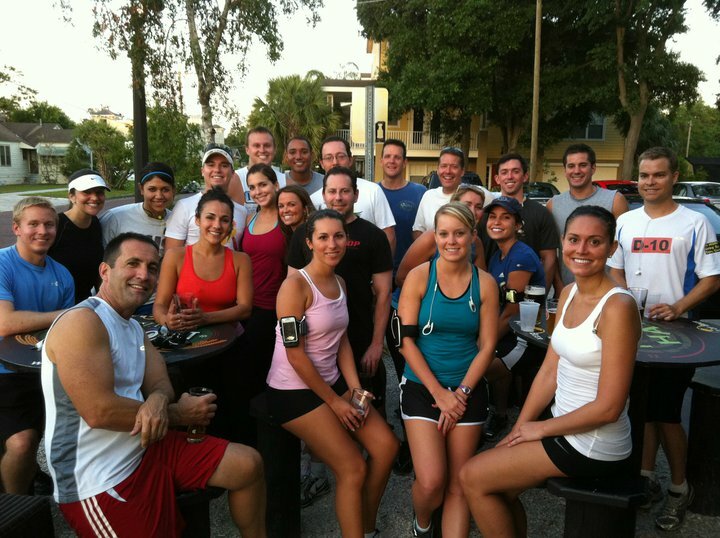 One South Tampa meet up group has found a way to merge healthy living, good drinking and great conversation with their running/craft beer club – Running for Brews. It is the perfect activity for all of those who enjoy getting out and breaking a sweat amongst the company of other fellow runners, and then topping it off with an awesome craft brew. 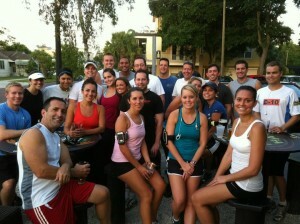 Running for Brews meets at 7 pm three times a week around South Tampa. Each meet up includes a 5k run around the surrounding neighborhood that begins and ends at the participating bar with a nice cold brew (and a glass of H2O) and some great conversation with other club members. The South Tampa group has over 600 members and averages about 30-40 participating runners per week. 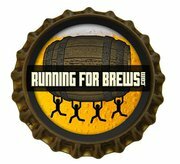 Running for Brews frequently hold specials event (for both fun and charity) and every week participating locations and Pepin Distributing offer drink specials. Other participating sponsors frequently provide prizes at least once a month and during special charity events. Those sponsors include: MyRaceRagz.com, Amy’s Fresh Delivery, World of Beer South Tampa, Ribits BBQ, Tampa Crossboot, TNL Crossfit, Sweetbay, Jet City Espresso, and Feet First. As for beer and running, the club always recommends consuming water and carbs before consuming beer, but the craft beer and running go hand in hand because of the malt and hops. These ingredients contain heart-healthy compounds and vitamins that aid in converting carbohydrates to energy. Also, the craft beers at World of Beer South Tampa act as tremendous reward after a great run. And don’t worry if you are a beginner runner… or walker. Running for Brews invites athletes of all shapes, sizes and speeds. While most of the group participates in the designated 5k loop, everyone is welcome to participate at their distance and speed of choice. No one will ever be scrutinized for their running ability. The first Running for Brews originated at the World of Beer in Westchase by Kevin Bupp who wanted to find a way to help connect fitness minded people who love great craft beers. The club has spread to Dunedin, St. Petersburg, Brandon, and now South Tampa. Please contact Johnny McDrama for more details or if you have questions jmanagement01@gmail.com. Find the South Tampa Running for Brews Crew on Facebook.